Regarding third-party foreigners, a legal crossing of the Russian-Belarusian border is only possible if he or she travels by air. Belarus now allows foreigners short-term, visa-free entry into the country. But what does this mean for the Russian-Belarusian border crossings, and how will citizens of third countries be able to enter legally into Russia from Belarus? Belarus is introducing visa-free entry for citizens from 80 countries, including the U.S. and all European Union nations. It will be possible to remain in the country without a visa for five days. The decree, signed by Belarusian President Alexander Lukashenko on Jan. 9, takes effect a month after its official publication. But what about travelers who decide to travel to Russia from Belarus? There are practically no international crossing points between the countries, and citizens of the two nations can currently cross it without much hassle. Regarding third-party foreigners, a legal crossing of the Russian-Belarusian border is only possible if he or she travels by air and has a visa issued by the country he or she is flying to. 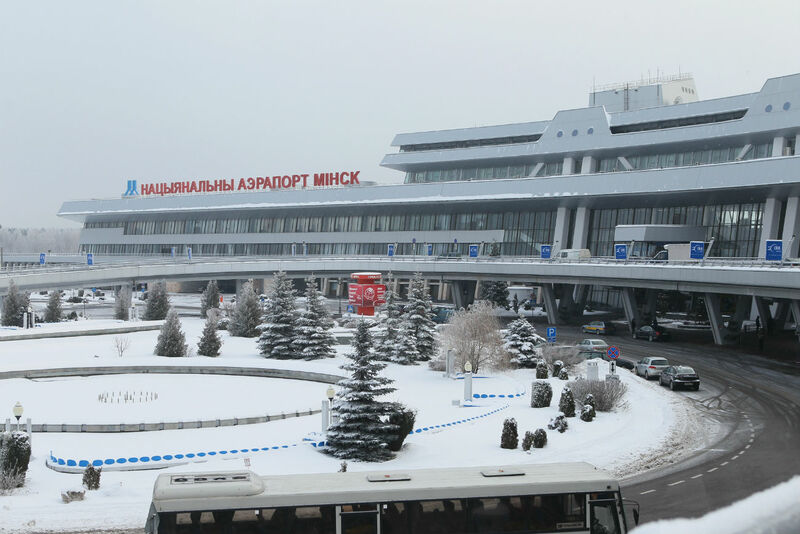 Traveling from Belarus to Russia using any form of ground transportation has been and remains illegal. While there are no international border crossing points between the two countries, vehicles can be stopped. Russian border control occasionally stops cars at random, and shuttle buses can be stopped to check passengers' passports. A foreigner without a Russian visa cannot buy a ticket in Belarus because he must show his passport at the time of purchase. However, even if he buys a ticket online and is able to get on the bus, passport control might ask him to get off at the Russian border where he will pay a fine. The fine for crossing the Russian border illegally can be as high as 200,000 rubles ($3,335), but authorities can decide the amount as they wish. Some people have easily crossed the Belarusian-Russian border and bragged about it to friends. "No stamps or checks; rarely do they stop you," is what you can often hear on social networks. Indeed, when driving there is a high chance that no one will stop you. Many Poles who enter Belarus by car, for example, have no problem entering Russia, and they believe that such entry is completely legal. In September last year Poland even accused Russia of wrongfully obstructing Polish entry into the country. But then it was learned that none of the Polish travelers had a valid Russian visa. According to current laws, one can enter Russia via ground transportation from Ukraine, Lithuania, Norway, Finland, Estonia, Kazakhstan, and China.